Our nice new wood floor was messed up during installation by a sloppy finish application. 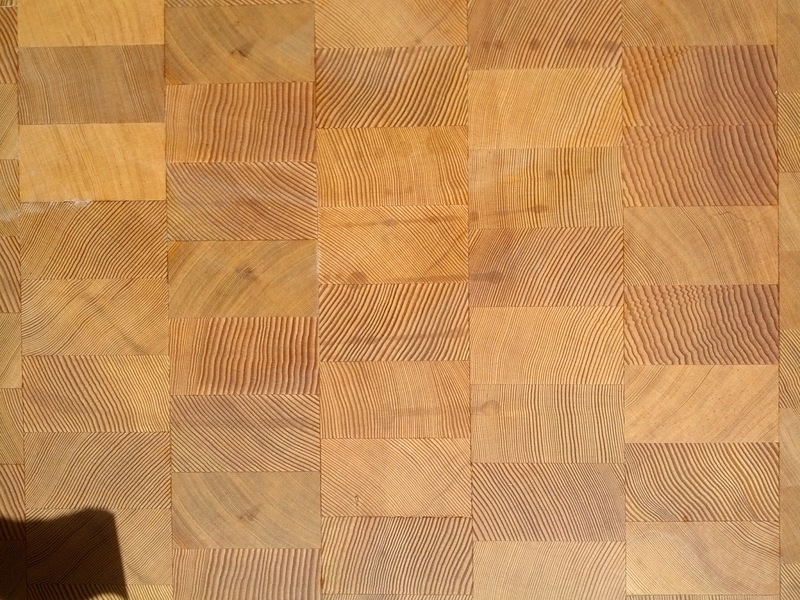 During the critical step of applying the oil finish, the installer dripped finish across the floor and allowed it to soak into the end grain. We didn't notice for quite a while because we had to stay off the floor to allow the finish to cure. Now, an otherwise great looking floor has drip marks that can't be sanded out - end grain wood absorbs finish deeply. We are in negotiations about how this can be rectified. We worry that any "fix" attempt is as likely to cause a bigger, more noticeable issue than what we have now. 2. The Kitchen Cabinet Veneer. Herein lies a saga that deserves its own long-form post. A good bit of history and agony and negotiation got us to where we are now - finally the cabinet shop can fabricate the veneer panels, and take them to the finishing shop. The finishing shop calls this morning to inform that they crushed our largest veneer panel by accident. Apparently it was taller than their freight elevator head clearance - elevator goes up, panel hits the 2nd floor roof and goes crunch. Getting the panel in the first place was quite the ordeal. Now we have to get another (will it match? ), and will likely set us back a month or more. Goodbye, we hardly knew ya. Isn't this all just peachy? !